Missed the merch booth on the Voicenotes tour? Now is your second chance to score this item; limited sizes available! 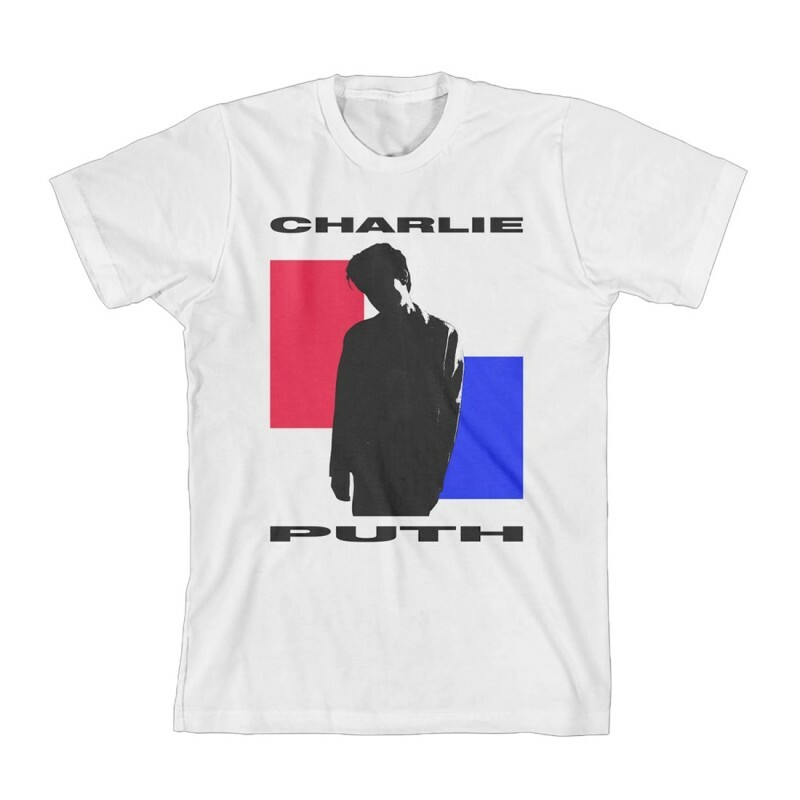 This white t-shirt features a silhouetted image of Charlie in black with a red and blue square design in the background. His name is printed above and below the image in black. The design is printed on a unisex, standard fit 100% combed ringspun cotton blend t-shirt. Limited sizes available.